As an independent travel agent, you’re right there in the mix with other entrepreneurs yearning to grow their business. 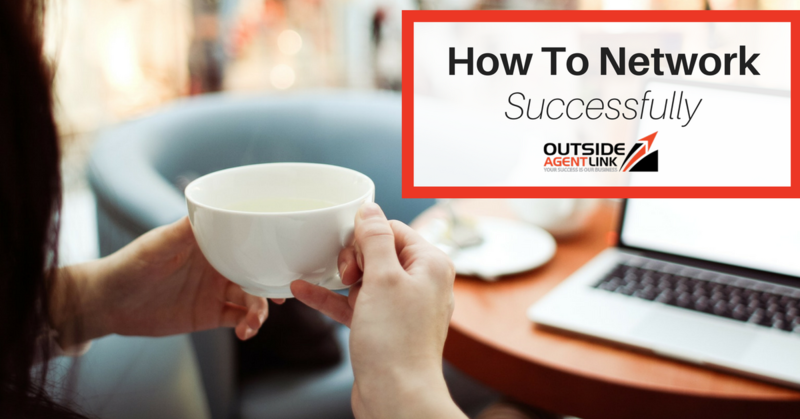 But with Outside Agent Link, you won’t be left scrambling to grow your business by yourself. With 24/7 support, webinar trainings and invitations to Travel Leaders meetings and events, we work hard to set you up for success. To help you on your entrepreneurial journey, here are tips for how to network successfully. After you’ve searched for networking events in your area that you’d like to attend, do some research on each event. Does the event have guest speakers? Find out the industry the speakers are in and anything else about their background. Does the event happen monthly or weekly? If so, you may be able to find recaps about past events. By researching the event, you won’t head into it blind. This will help your confidence level and give you some insight into how you’ll want to handle yourself while at the event. Speaking of not heading into the event blind, you’ll also want to prepare yourself. This means think about things like your strengths, your skill set and your background. Ultimately, decide how you want to present yourself to others and how you may be able to help those you network with. Pro tip: Write everything down as it comes to you, then create a few very basic scripts to practice. You don’t want to stick exactly to these scripts when talking to others at the event, but it will help calm your nerves and give you the confidence that you’ve fully prepared. This may seem obvious, but connections are key to networking successfully. Don’t just try to make connections because you need to increase sales. Make connections because you genuinely want to help others in any way you can. This may mean that your services aren’t necessarily a good fit for what a person is looking for, but you may have just spoken to someone else at the event that could help them or may know someone in your circle that would gladly reach out. If so, take the time to introduce them. In the long run, this will create more meaningful connections and down the road, you just might get an awesome referral. Did you know that a typical sales process requires about eleven points of contacts before close?Following up with someone can be a game changer, especially if someone gave you their business card and asked you to reach out. Make it your top priority to email each person that gave you their business card to let them know you loved speaking with them. If you promised to connect them with someone else in your circle ensure that you make that happen. By following up you’re letting others know your word is good and in business that’s a great feature!